More than 400 hectares in size, our stunning Point Grey campus is surrounded by forest on three sides and ocean on the fourth, and is just a 30-minute bus ride to Vancouver’s downtown core. UBC’s Point Grey Campus is located on the traditional, ancestral, and unceded territory of the Musqueam people. The land it is situated on has always been a place of learning for the Musqueam people, who for millennia have passed on in their culture, history, and traditions from one generation to the next on this site. 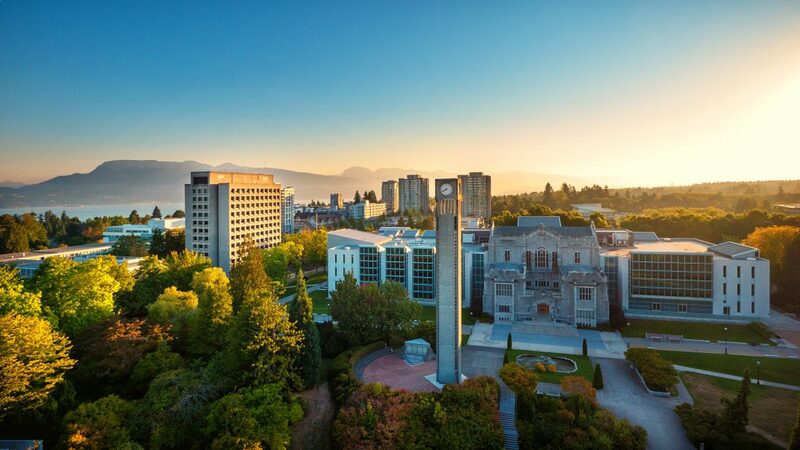 UBC is one of the Top 40 universities in the world, according to a 2016 Times Higher Education ranking. UBC faculty, alumni and researchers have won seven Nobel Prizes and 67 Rhodes Scholarships, while two alumni have gone on to become Canadian prime ministers.